M. Jacqui Alexander is Professor of Women’s Studies and Gender Studies at the	University of Toronto. Her publications include Sing, Whisper, Shout,	Pray! : Feminist	Visions for a Just World (Edgework, 2002), co-edited with Lisa Albrecht, Sharon Day, and Mab Segrest, and The Third Wave: Feminist Perspectives on Racism (Kitchen Table, 1998). She is also the co-editor, with Chandra Talpade Mohanty, of Feminist Genealogies, Colonial Legacies, Democratic Futures (Routledge, 1997). Her collection	of essays, Pedagogies of Crossing, is forthcoming from Duke University Press. Lourdes Benería is Professor of City and Regional Planning and Professor of Feminist, Gender and Sexuality Studies at Cornell University. She is the author of numerous books, including Gender, Development and Globalization: Economics as if All People Mattered (Routledge, 2003), Global Tensions: Challenges and Opportunities in the World Economy (Routledge, 2003), a critical volume co-edited with Savitri Bisnath, and Rethinking Informalization: Poverty, Precarious Jobs and Social Protection, a book co-edited with Neema Kudva (Cornell e-Publishing, 2006). Nancy Cantor is Chancellor, President, and Distinguished Professor of Psychology and Women’s Studies at Syracuse University. Her recent publications include “Defending Diversity: Affirmative Action at the University of Michigan” (2004) and “Unfinished Business: Fifty Years after Brown v. Board of Education” (2004). Johnnetta B. Cole is currently serving as director of the Smithsonian's National Museum of African Art. She is the author of several books, including Dream the Boldest Dream: And Other Lessons of Life (Longstreet, 1997) and Conversations: Straight Talk With America’s Sister President (Anchor, 1994). She is also the co-editor, with Beverly Guy-Sheftall, of Gender Talk: The Struggle For Women's Equality in African American Communities (One World/Ballantine, 2003). Mary Sue Coleman is President of the University of Michigan, where she is also Professor of Chemistry and Professor of Biological Chemistry. In addition to her distinguished career in research focusing on the immune system, she has extensive leadership experience in higher education. Recently, she led the effort to protect the University of Michigan's policies promoting diversity in the student body through the admissions process. Harry Elam is Professor and Director of Graduate Studies in the Drama Department at Stanford University. His books include The Past as Present in the Drama of August Wilson (Michigan, 2004) and Taking it to the Streets: The Social Protest Theater of Luis Valdez and Amiri Baraka (Michigan, 1997). Leslie Feinberg is a leading political activist, writer, and independent scholar. She is the author of Trans Liberation: Beyond Pink or Blue (Beacon, 1998), Transgender Warriors: Making History from Joan of Arc to Dennis Rodman (Beacon, 1996), and Stone Butch Blues (Firebrand, 1993). Feinberg is currently completing a novel entitled Drag King Dreams and a book on transgender health issues. Rosemarie Garland-Thomson is Associate Professor of Women's Studies at Emory University in Atlanta, Georgia. Her fields of study are feminist theory, American literature, and disability studies. Her scholarly and professional activities are devoted to developing the field of disability studies in the humanities and in women's studies. She is the author of Extraordinary Bodies: Figuring Physical Disability in American Literature and Culture (Columbia UP, 1997), Staring: How We Look (Oxford UP, forthcoming 2007). She is currently writing a book on the cultural logic of euthanasia. John L. Hennessy is President of Stanford University and the Willard and Inez Kerr Bell Endowed Professor of Electrical Engineering and Computer Science. A pioneer in computer architecture, he has lectured and published widely and is the co-author of two internationally used undergraduate and graduate textbooks on computer architecture design. As dean of the School of Engineering, and then provost of Stanford, Hennessy was a leader in fostering interdisciplinary activities in the biosciences and bioengineering and oversaw improvements in faculty and staff compensation. As president, he has been outspoken about the importance of hiring and retaining a diverse faculty. Roberta Hill is Associate Professor of English and Native American Studies at the University of Wisconsin, Madison. She is the author of two collections of poetry, Star Quilt (1984) and Philadelphia Flowers (1996). Her fiction, poetry, and essays have appeared in a number of anthologies and magazines, most recently in The American Indian Culture and Research Journal, The Beloit Poetry Journal, Luna, and Prairie Schooner. She has written a biography of her grandmother, Dr. Lillie Rosa Minoka-Hill, the second American Indian woman physician, to be published by the University of Nebraska Press. Biodun Jeyifo is Professor of African and African American Studies at Harvard University. He recently published Wole Soyinka: Politics, Poetics, Postcolonialism (Cambridge, 2004) and edited the Norton Critical Edition of Modern African Drama (NCE, 2002). Dominick LaCapra is the Bryce & Edith M. Bowmar Professor in Humanistic Studies at Cornell University. His most recent books include History in Transit: Experience, Identity, Critical Theory (Cornell, 2004), Writing History, Writing Trauma (Johns Hopkins, 2001), and History and Memory after Auschwitz (Cornell, 1998). Jeffrey Lehman is Professor of Law and Fellow at the Woodrow Wilson Institute, as well as former President of Cornell University. His most recent academic publications include "The Evolving Language of Diversity and Integration in Discussions of Affirmative Action from Bakke to Grutter" (2004) and the article "Turning our Backs on the New Deal: The End of Welfare in 1996" (2004), which he co-authored with Douglas A. Kahn. Daniel Little is Professor of Philosophy and Chancellor at the University of Michigan, Dearborn. His most recent books include The Paradox of Wealth and Poverty: Mapping the Ethical Dilemmas of Global Development (Westview, 2003) and Microfoundations, Method, and Causation: Essays in the Philosophy of the Social Sciences (Transaction, 1998). 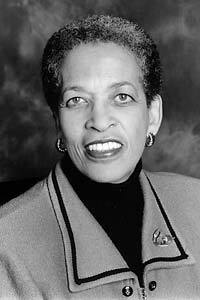 Hazel Rose Markus is the Davis-Brack Professor in the Behavioral Sciences and the Director of the Research Institute of Comparative Studies in Race and Ethnicity (RICSRE) at Stanford University. She is the author of more than 100 publications, most of them focusing on the role of the self in regulating behavior and on the ways in which the self is shaped by the social world. She recently co-edited a book entitled Engaging Cultural Differences: The Multicultural Challenge in Liberal Democracies (Russell Sage Foundation, 2002) and is currently working on two different book projects: Well Being, American Style and Constructing the Self. Lester Monts is Senior Vice Provost of Academic Affairs and Professor of Music at the University of Michigan. His scholarly research primarily focuses on the musical and cultural systems among the Vai people of Liberia. In addition to his numerous publications in scholarly journals, he is the author of Vai Musical Language, a study of folk etymologies at the intersection between music and other linguistic phenomena. Jose David Saldívar is Professor of Ethnic Studies at the University of California, Berkeley. He is the author of Border Matters: Remapping American Cultural Studies (California, 1997) and The Dialectics of Our America: Genealogy, Cultural Critique, and Literary History (Duke, 1991). Claude Steele is the Lucy Stern Professor in the Social Sciences and the Director of the Center for Comparative Studies in Race and Ethnicity (CCSRE) at Stanford University. His publications primarily concern how people cope with self-image threats and how group stereotypes can influence intellectual performance. Helena María Viramontes is Associate Professor of English at Cornell University. She is the author of Under the Feet of Jesus (Dutton, 1995) and The Moths and Other Stories (Arte Público, 1985). She is also the co-editor of Chicana (W)Rites: On Word and Film (Third Woman, 1995) and Chicana Creativity and Criticism: Charting New Frontiers in American Literature (Arte Público, 1988).